I just want to quickly share our results and some tips so that you can get the most for your startup if you decide to list on Betalist. 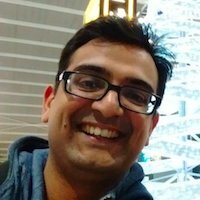 Interested in learning how to make websites? 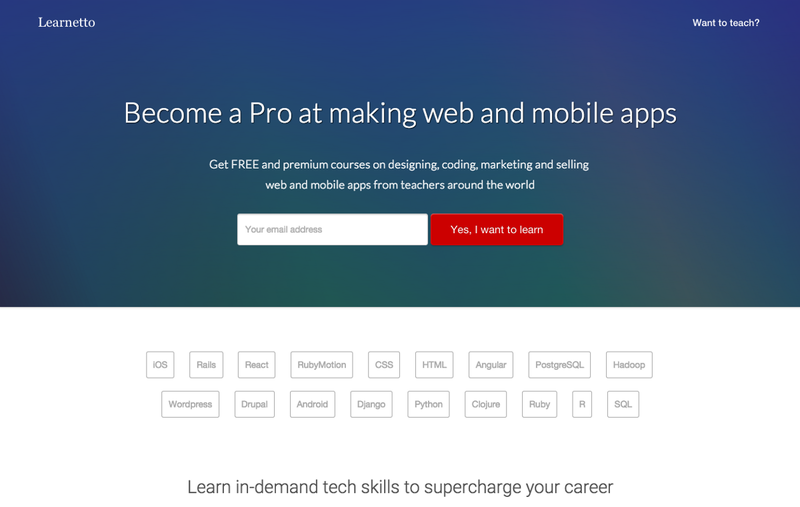 Check out our upcoming HTML pro course . You can get it for free as a beta user for a limited time. We had just over 50 subscribers before Betalist. I hadn’t started building the email list yet. Betalist was the first serious effort. So far, in the last 10 days our mailing list got around 175 new subscribers, almost all of which came from Betalist. 74 of these new signups came on the first day of listing. If I were a cool growth hacker, I’d say we 5x’d our subscriber base, but since we were starting with such a small number, that’d be a ridiculous thing to say. Having read other people’s experiences, getting 100–200 new subscribers seems a reasonable result to expect, regardless of the starting point. As expected, we got a nice spike on the day, getting up to 200 sessions, which then tapered off over the next 3 days and settled on a higher base of 60–70 sessions per day. 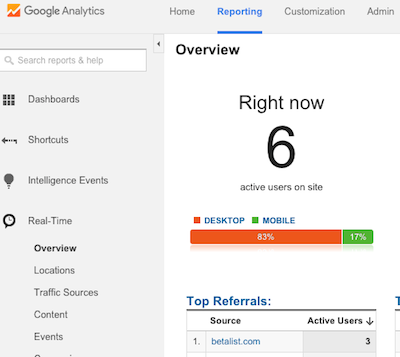 Note that most of this traffic is from Betalist, but not all of it. Listing on Betalist is free but because of the sheer volume of submissions they get now, it can take a couple of months before your startup gets listed. I certainly didn’t have that long to wait around, so I paid for the expedited listing — $99 gets you listed within 2–3 days. That means so far I’ve spent just over 50 cents to acquire each new subscriber. In other words, each of them will need to spend 35 British pence on Learnetto for us to get a positive ROI. 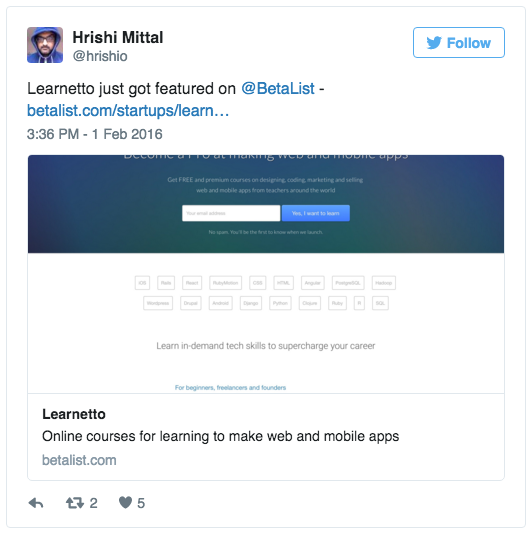 I’m pretty sure some of the subscribers will buy a course on Learnetto in the coming weeks. Even if a couple of them do, we’ll have made our money back. But, besides just the ROI calculation, I think it was worth the effort to get featured on Betalist. I’d been meaning to launch the site’s landing page for a while and when it finally landed on Betalist, things got real. It generated a good amount of buzz and calmed my nerves a bit (What if no one signs up???). The site also got picked up by a few other directories which is now sending us a steady trickle of traffic. One strange thing I noticed is that the Betalist tweet about Learnetto got a lot of retweets from accounts which only seem to do that — tweet Betalist pages. I checked some of Betalist’s other tweets about other startups and noticed that they all get roughly the same number of retweets — around 140–160. My guess is that Betalist hires some of these people, which is ok I guess, if it leads to some more traffic and signups for you. But I’m sharing this so you have a more realistic view of the “buzz”. EDIT: Betalist founder Marc just clarified that they don’t hire anyone to do this. See his comment here for details. Anyway, what does all this mean for you? If you’re on the fence about it, I think you should give it a go. If you’re serious about your project and it’s not just one of your many ideas that you’re not sure about, I also recommend paying and getting featured on a specific date. If you wait around for 2 months just to launch a landing page, you might give up on the idea itself. The reason they gave me was that the design looked too much like a template and wasn’t custom enough. The old landing page. Just look at that limited edition Macbook. I was really pissed off at the time and I thought all the sites on Betalist look like templates because pretty much all of them do use templates. Anyway I just left it for a bit and decided to try and list again at a later time. Finally got around to redesigning the landing page in the new year and added a bunch of details and more information about what the site and product actually is. And once I re-designed the page I realised why they rejected my site the first time around. The new homepage looks better and gives the visitor a lot more information about what the product is. It gives them much more of an incentive to actually sign up. So I submitted the page again and, guess what, it got accepted almost immediately. Oh one more design tip — Make the logo bigger! After the feature went live, Betalist emailed me a helpful guide on how to get the best out of the listing. They are very simple and obvious things, so you may skip them thinking it’s not worth it. But they were definitely helpful in getting a few more signups for us. 3. Share the Betalist page on social media — Twitter, Facebook, Snapchat, Jaiku, or whatever else you’re on. Also ask, nay beg, your friends to do the same. Move over, baby pictures, my startup needs some attention! 4. Write a comment on the Betalist page as per Marc’s suggestion. Although my comment didn’t generate any discussion, it provides some more background about Learnetto to anyone visiting that page. 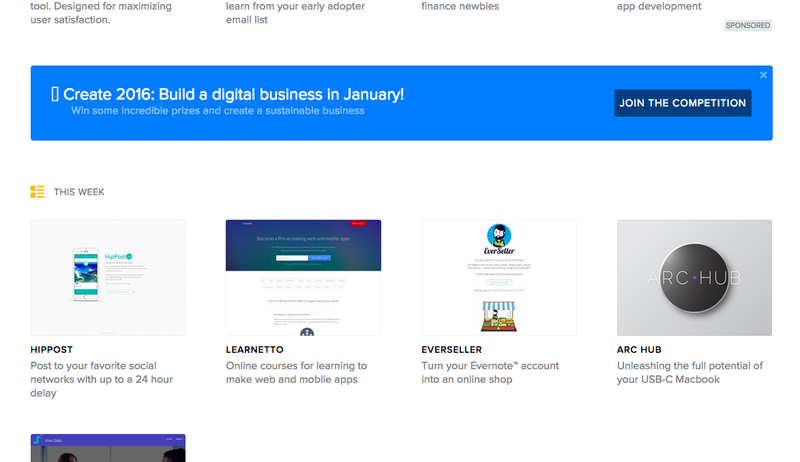 All of these efforts combined led us to being featured in the Trending section on the Betalist homepage and the Education section too. 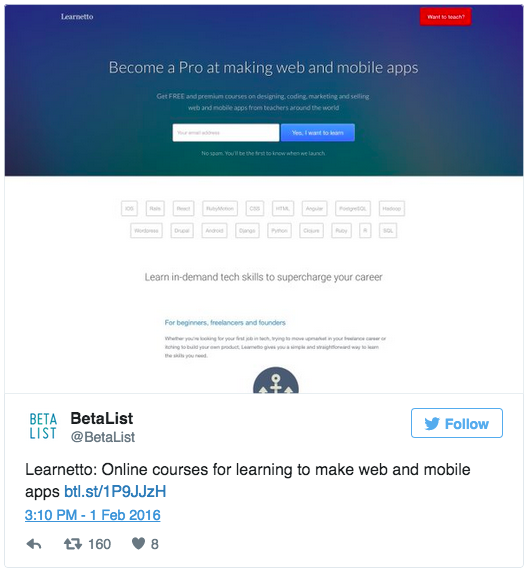 We got featured on the Betalist homepage in the Trending section! 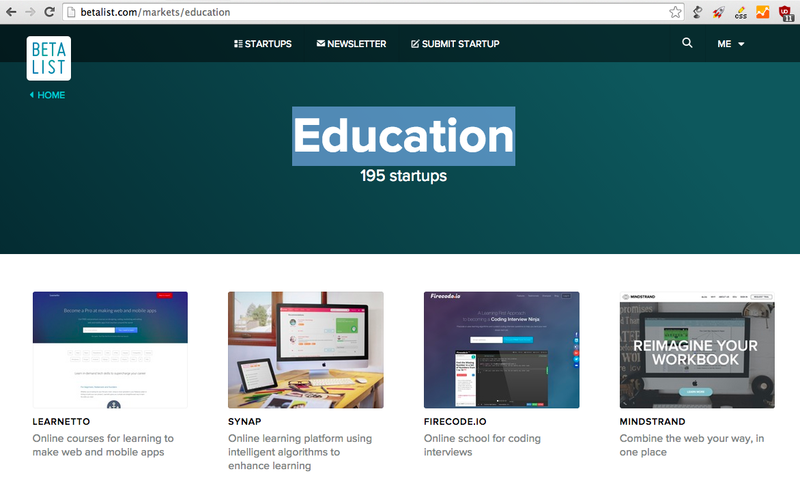 We also got featured in the Betalist Education section! 5. Show a “Thank you” page after signing up and ask for referrals. Our thank you page is getting us a few tweets every day. Pre-fill some text they can tweet but don’t force them to use it. Be gentle. You know what I want when I wake up in the morning? I want brands to engage with me. No, but seriously, when people sign up for your beta, it means they are interested in your product and want to know more and try it out. So don’t go silent on them for months and then suddenly drop a “we’ve launched, gimme your money” email on them. I emailed our list with a super simple 1-question survey asking them which of our upcoming courses they were most interested in. A lot of people responded and it led to some useful conversations. The other thing you can do is to make people feel special — there are so many products out there. If people are signing up for yours, give them some kind of exclusive benefit. 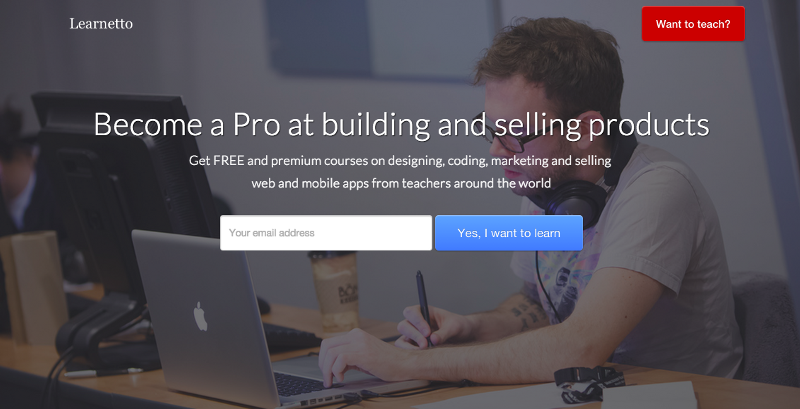 We are offering some of our premium courses for free only to our beta users. 7. Be ready to get listed on other similar directories like Betabound, Launching Next, etc. Once you’re on Betalist, you’ll start getting contacted by other directories. It’s best to be prepared with your logos, screenshots, tagline, short description, long description, founder bios, etc. 8. Finally, be patient. The signups keep coming. I was a tiny bit disappointed when I realised we didn’t even get 100 new signups on the first day. But my disappointment was short-lived because the signups kept coming the day after and the day after. The one-time spike is great but the best thing is the raised baseline of daily traffic and signups. If you enjoyed that, sign up to our mailing list to get more in-depth stories about building our startup. Oh and lots of freebies and discounts on awesome courses! Thanks to the Betalist team, especially Marc Köhlbrugge, for making a great launch platform for startups and Rabia (RPISH) for excellent customer support! Also, thanks to all these lovely people for sharing their launch stories. It helped me write mine! — dumpstr.io, Olivier Alcouffe, Marin Medak, Kuoll, Jake Peters, Oskar Glauser, @_sergeh, Alexander Weidauer, Aditya Gopal Ganguly, @gym_selfie andTim Perry.